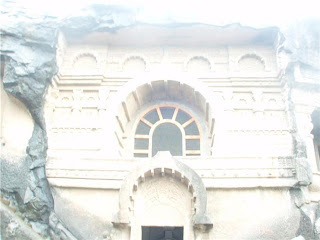 The state of Maharashtra in India is dotted with numerous Buddhist caves. Along with Buddhism, these caves are also closely associated with other religions such as Hinduism and Jainism. Some of these Buddhist cave in Maharashtra are Ajanta, Ellora, Junnar,Pandav leni Karle, Kanheri and Bhaja. Of all the Buddhist caves in Maharashtra, Ajanta and Ellora caves are most famous and World heritage sites as they represent one of the masterpieces of sculpture and paintings. 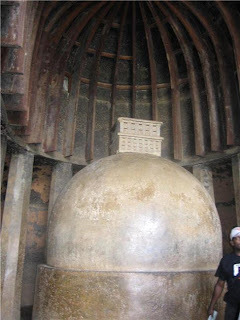 The Ajanta caves are situated in the Aurangabad district of Maharashtra, India. The caves, thirty in number, are said to have witnessed the prosperity as well as the decline of the two sects of Buddhism, the Hinayana and the Mahayana. They are adorned with paintings, scriptures and architecture of both the sects. Ellora Caves are situated in the state of Maharashtra, India. They lie at a distance of approximately 25 km from the Aurangabad district. The beautiful caves of Ellora symbolize three of the major religions of the world, namely Buddhism, Hinduism and Jainism. They also hold the distinction of being declared a World Heritage Site by UNESCO. 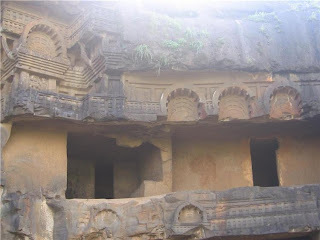 Kanheri Caves are situated in the heart of the Sanjay Gandhi National Park, Maharashtra. They lie at a distance of approximately 10 km from Borivali, Mumbai. They are almost 109 in number and date back to somewhere between 1st century BC and 9th century AD. Kanheri Caves signify a golden beginning and the end of Buddhism in the northern India. Karla Caves are situated in the state of Maharashtra, near the Pune-Mumbai Road. They lie at a distance of approximately 20 km from Lonavla and 40 km from Pune. The caves of Karla date back to the 2nd century BC and are known for their Chaitya Hall, intricate sculptures and pillars with ingenious architecture.